A year of passion, innovation, continued growth. 2018 was characterized by many important moments we want to share with you: "One Year of Ducati" is the section full of contents to tell, month by month, the steps that have defined the 2018 of Ducati! 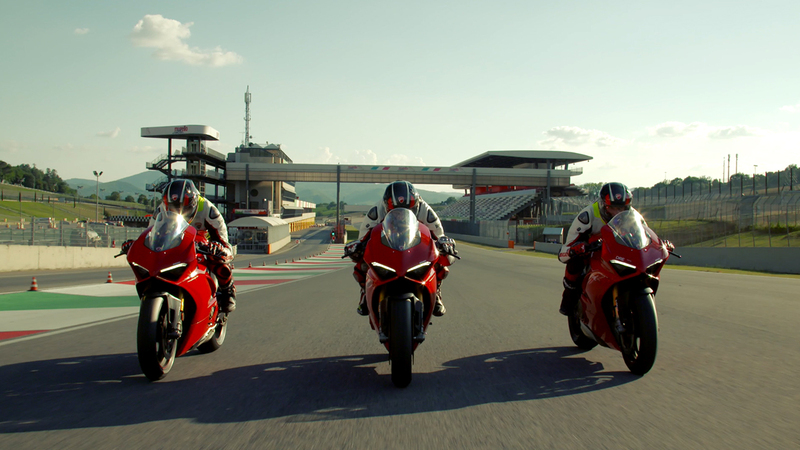 To celebrate the New Year together, listen and download the sounds of the Panigale V4, the Panigale V4 R and the Desmosedici Stradale engine. 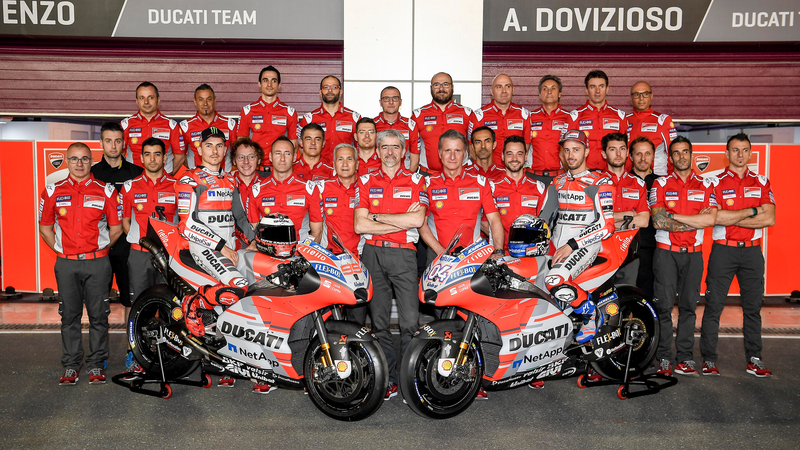 15 January 2018: the 2018 Ducati Team MotoGP, which took part in the MotoGP Championship with Andrea Dovizioso and Jorge Lorenzo, was presented in the heart of the Ducati factory at Borgo Panigale, Bologna. 90 journalists from all over the world arrived in Valencia for the first Panigale V4 test on track. 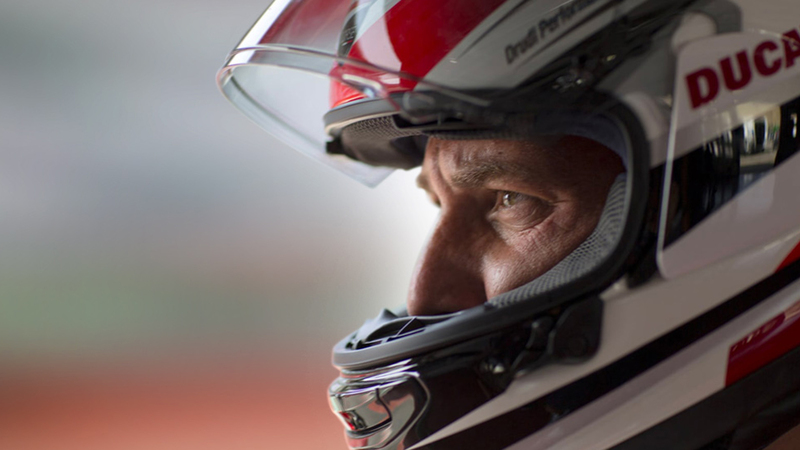 Discover more on Panigale V4. By choosing a Ducati Approved motorcycles, the certified pre-owned programme, you choose the certainty of having Ducati always by your side. Two young riders from Italy, Alessandro and Emilio, start their adventure to the North Cape and back by riding a Multistrada 1200 Enduro Pro through the Northern Lights and breathtaking landscapes. 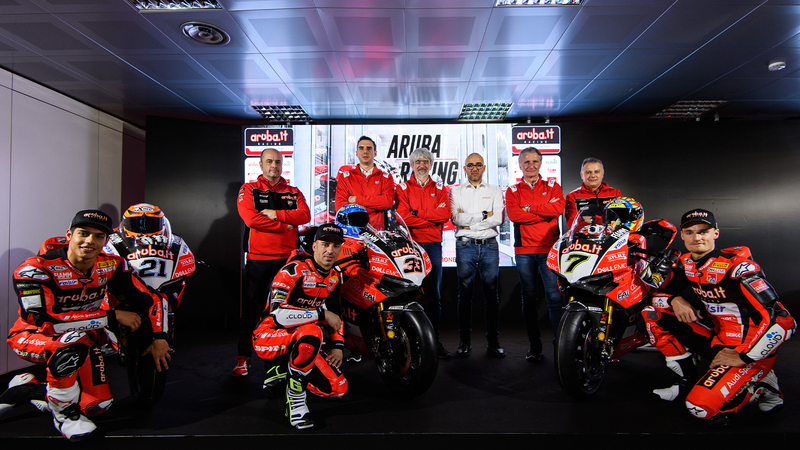 The Aruba.it Racing - Ducati team is ready to take on a new challenge in the 2018 WorldSBK Championship. In Aruba's high-tech Global Cloud Data Center in Ponte San Pietro (Italy), the team presented the riders and the bike for the 2018 season. Borgo Panigale, Bologna, 16th February 2018. The first Ducati Scrambler 1100 emerged on this day from the production line. The Ducati Scrambler 1100 adds a new dimension to the Land of Joy with technology, performance, high quality finishes and great comfort. 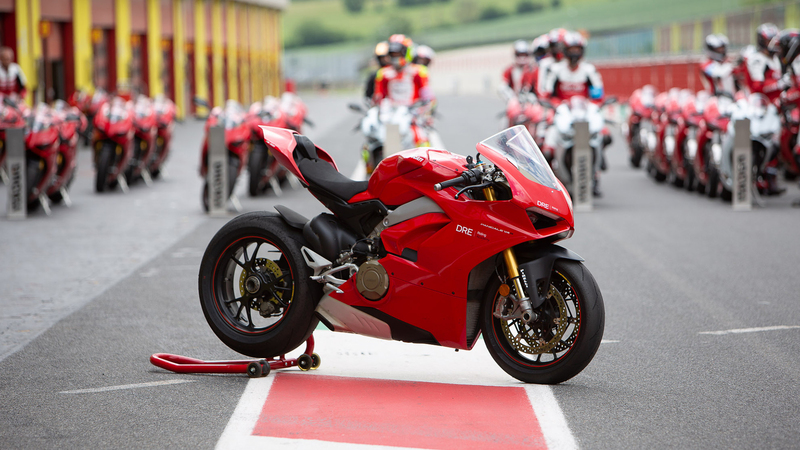 Ever Red is the warranty extension programme offered by Ducati. 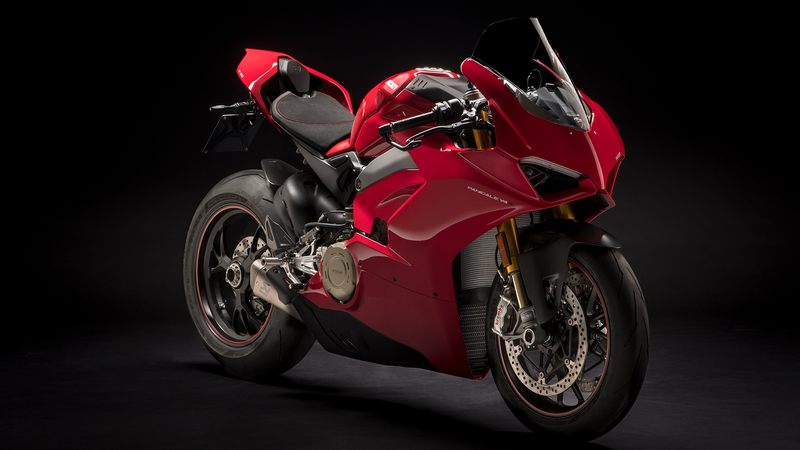 Thanks to Ever Red you can protect your Ducati and keep it new for longer. Find your dealer and discover the availability of the programme. 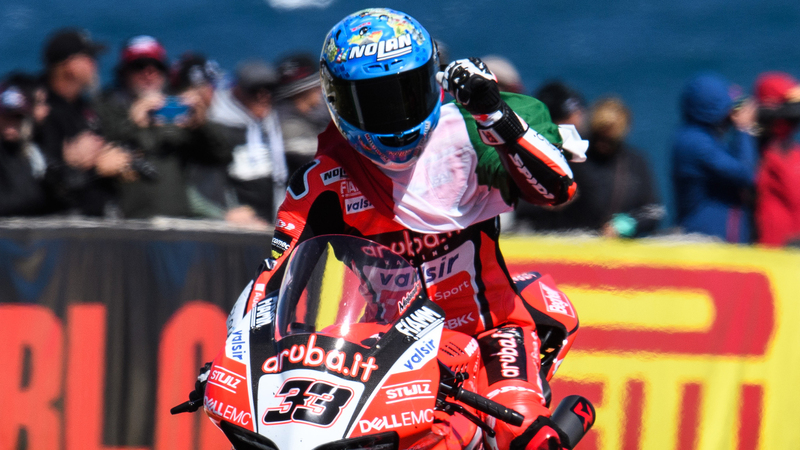 The Aruba.it Racing - Ducati team did the double at Phillip Island (Australia) with Marco Melandri. The race itself went down to the wire and was decided by only 0.021 seconds. It was Melandri's 22nd win in WorldSBK which makes him the most successful Italian in the production-based series. 24 March at Le Castellet, France. 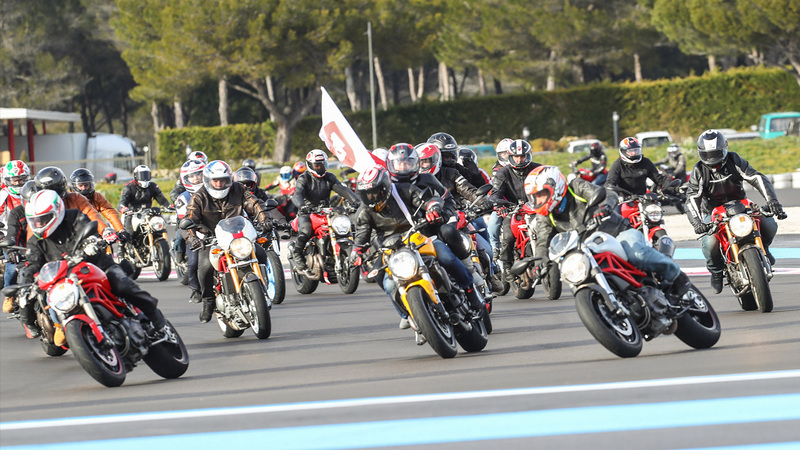 517 Monster invaded the “Paul Ricard” Circuit at Le Castellet to celebrate the 25th Anniversary with a record gathering dedicated to the Monster. 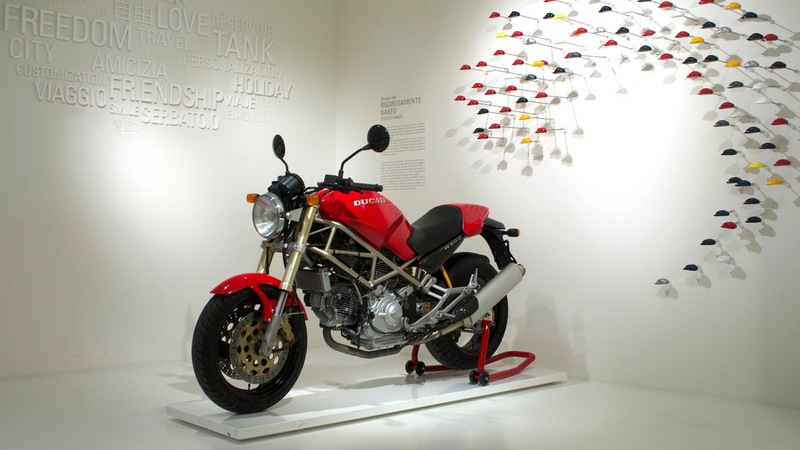 25 years later, the Monster 900 (1993) comes back home to be displayed at the Ducati Museum. 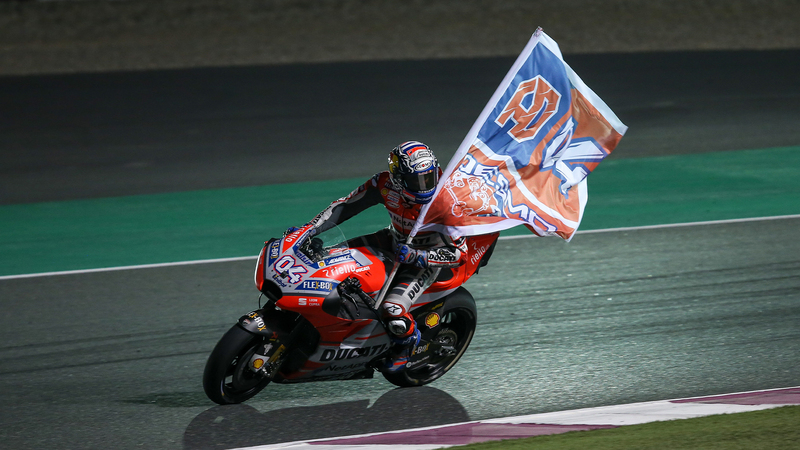 Fantastic win for Dovizioso in the Qatar GP. The Italian rider, with eight wins to his name, becomes the second most successful Ducati rider of all time in MotoGP. 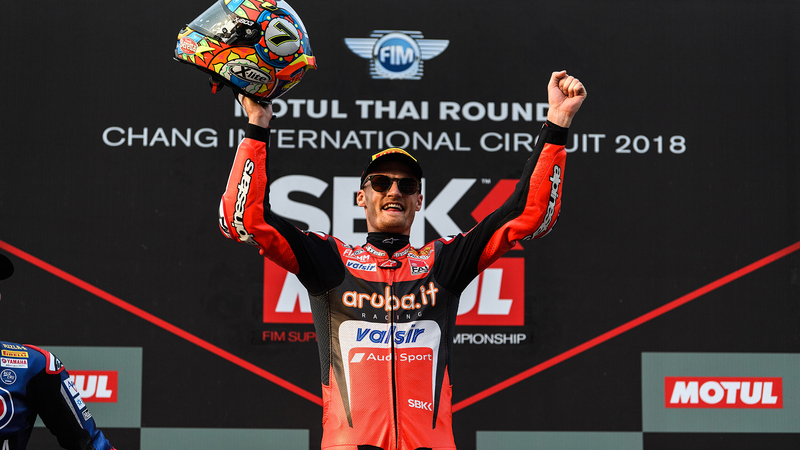 Superb victory by Davies in Race 2 at Buriram, Chang International Circuit. "It was a fantastic race, something special. To come away with a win here makes me so happy. At Buriram we've always struggled in the past, it's been a long process to get into a winning position. I want to thank the whole team because they've given me such a great bike today”, declared Davies. 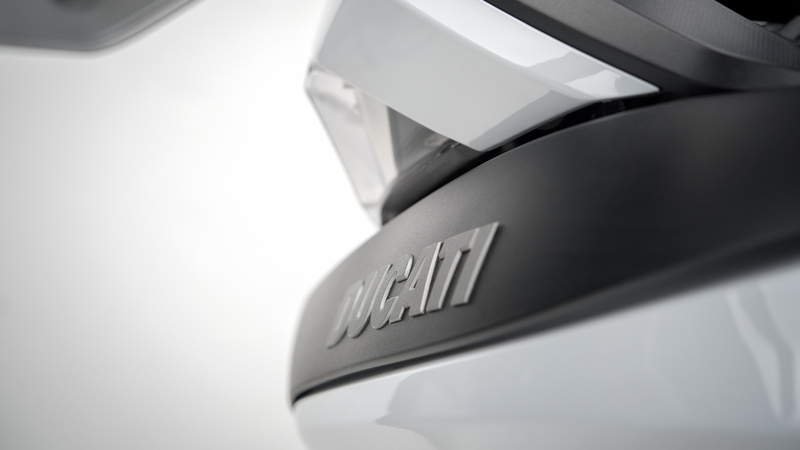 Ducati is always at the forefront in the field of security. A theme looked into by a real research plan and experimentation. 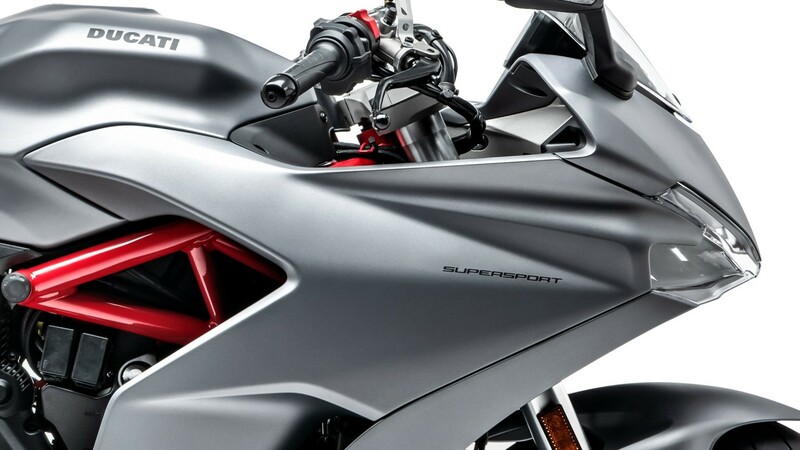 In 2020 a Ducati motorcycle will have a front and rear radar. 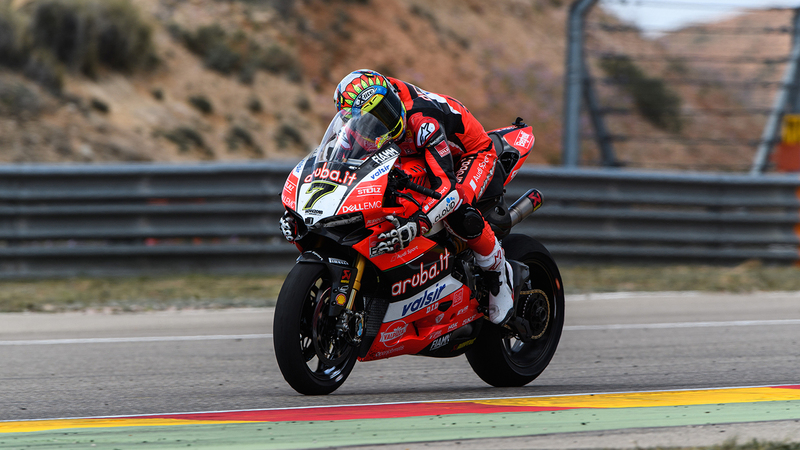 On the 16th April 2018, in Aragon (Spain), after finishing on the podium in 2nd place in Race 1, Chaz Davies had a stunning win in Race 2 at Aragon (Spain) with the Aruba.it Racing - Ducati team. Starting from the third row, Davies bided his time early on, then took the lead with five laps to go and never looked back, taking the 7th win of his career at Aragon and second of the season. 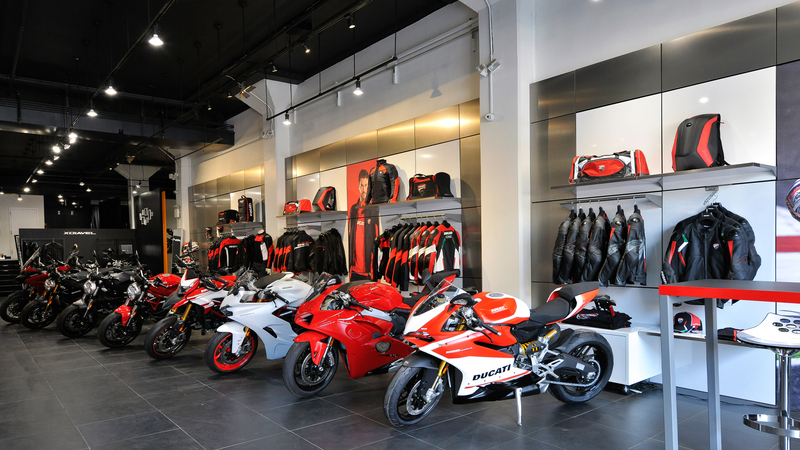 Ducati New York is the exclusive showroom in downtown Manhattan dedicated to Ducati motorcycles, accessories and apparel. Henry Crew was on his way to be the youngest person to circumnavigate the globe! 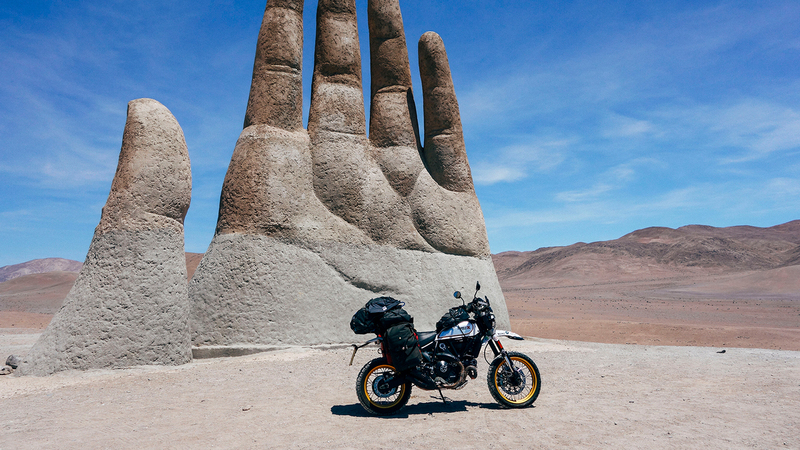 He's taking this Desert Sled 35,000 miles around the world to help raise awareness for mental health and partnered with the Movember Foundation to ride for a great cause. Educational, fun and adrenaline-fuelled. The DRE was born on the track and here it continues to offer a big part of its 'experience', thanks to four courses divided by ability and the needs of all participants. 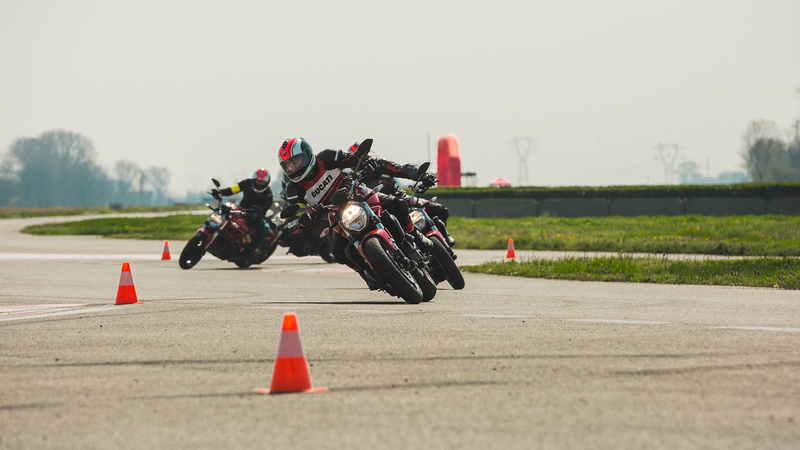 Thanks to the DRE Safety Academy you can acquire all the knowledge and practical preparation needed for safe road riding, in a structure that was particularly set up for this purpose: the Automotive Safety Centre in Vairano, a structure specifically set up for safe riding/driving, used by the most important car and motorcycle manufacturers as a test track for the development of their products. DRE Enduro Academy has been created for people who dream of exploring the world on their own motorcycle, visiting new places and crave new experiences. The DRE Enduro Academy is an authentic riding academy where participants can learn all the technical skills and pick up plenty of tips for off-road riding. It’s a valuable experience for anyone who uses their motorcycle to discover new places, as the awareness learnt when driving off-road in conditions without much grip leads to safer on-road driving. 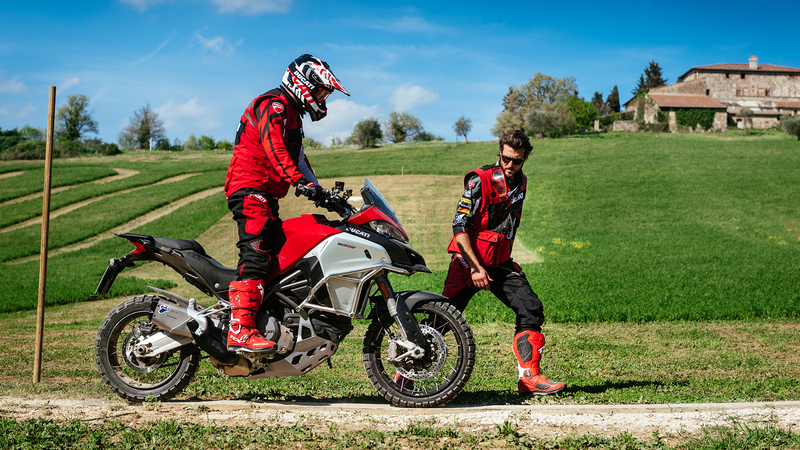 Ducati introduces the Ducati Adventure Tour, an exclusive 3-day on- and off- road tour, full of adventure, fun, good food and motorcycle passion. 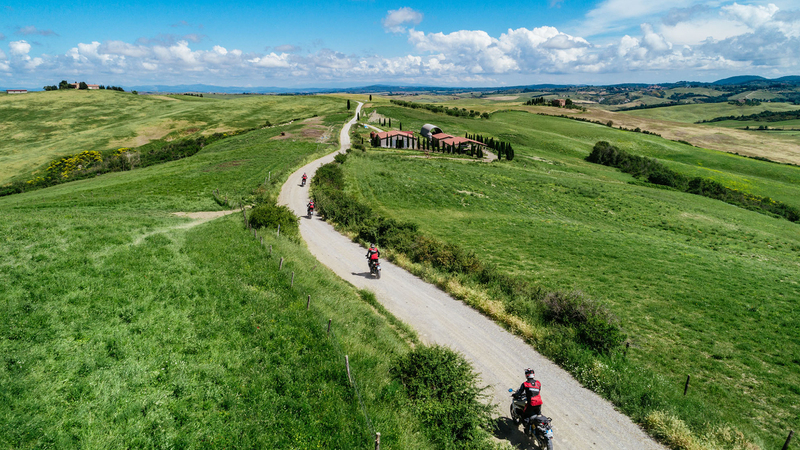 All participants moved through breathtaking itineraries steeped in nature for a journey that led to the discovery of Italy. 3rd June 2018, Mugello (Italy). 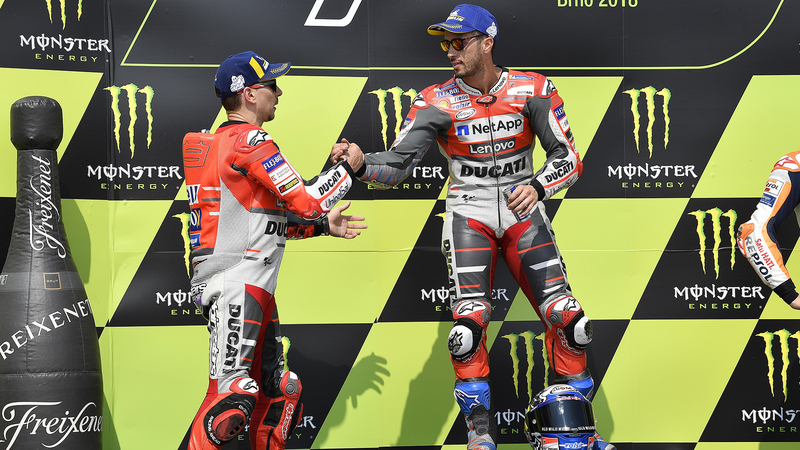 The Ducati Team pulled off a fantastic 1-2 win at the Mugello Autodrome today, with its riders finishing first and second. 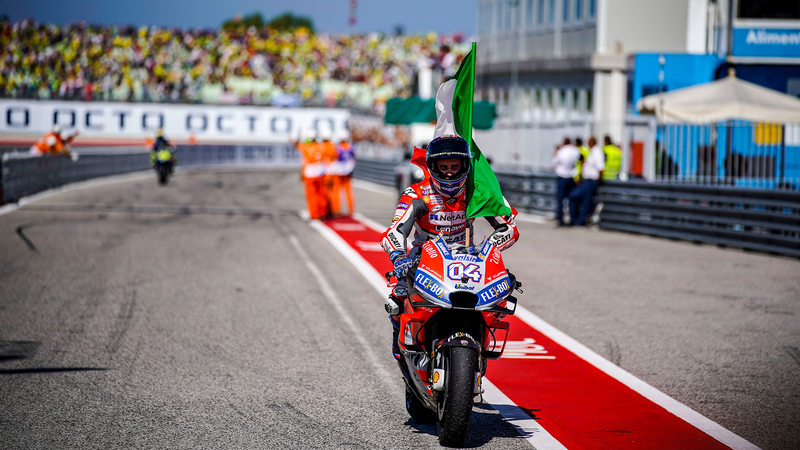 Jorge Lorenzo, who got a perfect start from the front row, dominated the Italian Grand Prix from the first to the last lap, thus scoring his first win on a Ducati. 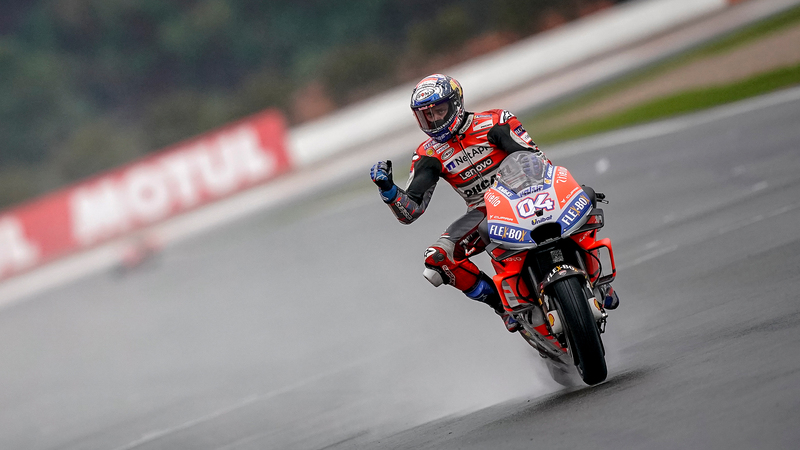 Second place went to Andrea Dovizioso, who started from the third row and on 1° June made a speed record with 356,4 Km/h! Your bike, your trips, your emotions. It’s not the destination that counts, but the journey. 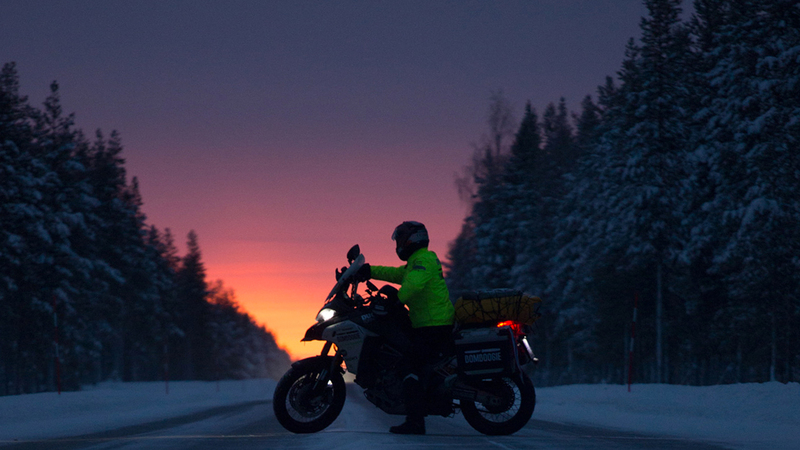 Whatever your destination, you can enjoy your bike’s technology, performance and comfort in any condition. And let yourself be carried away by the route as you boldly take on every turn. 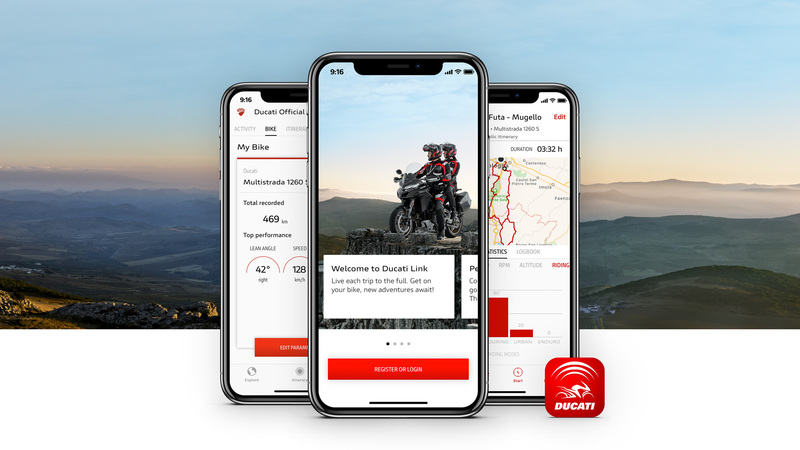 With the new Ducati Link app, every trip becomes a memory to share and can be relived whenever you want! 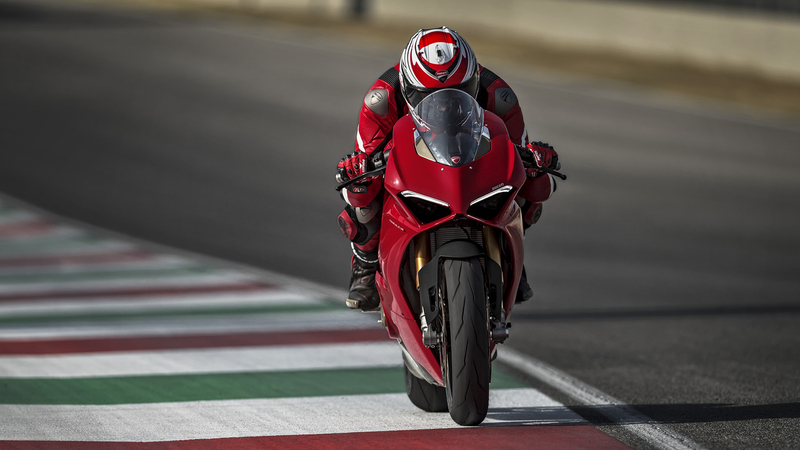 Twenty-five years have passed since the first Monster left the factory in Borgo Panigale, Bologna. To celebrate this milestone we created the 25th Monster 1200 Anniversary; an exclusive model in a limited and numbered edition of only 500 samples. 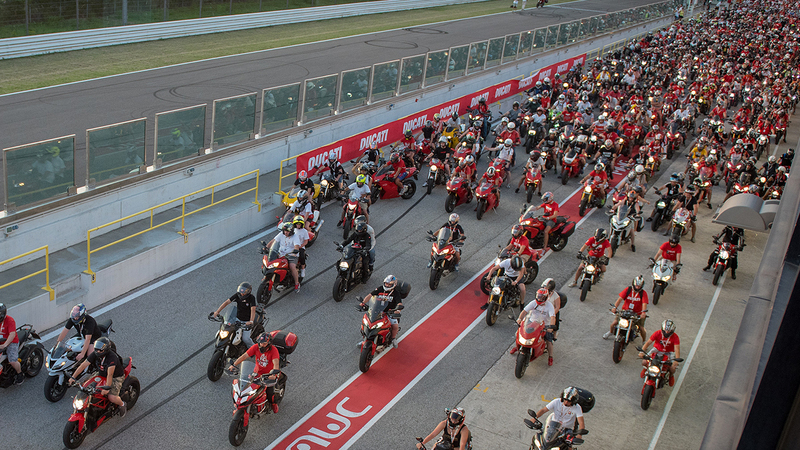 91,596 Ducatisti invaded the Misano World Circuit Marco Simoncelli (Italy) to celebrate Red Passion with us. Relive the best moments! 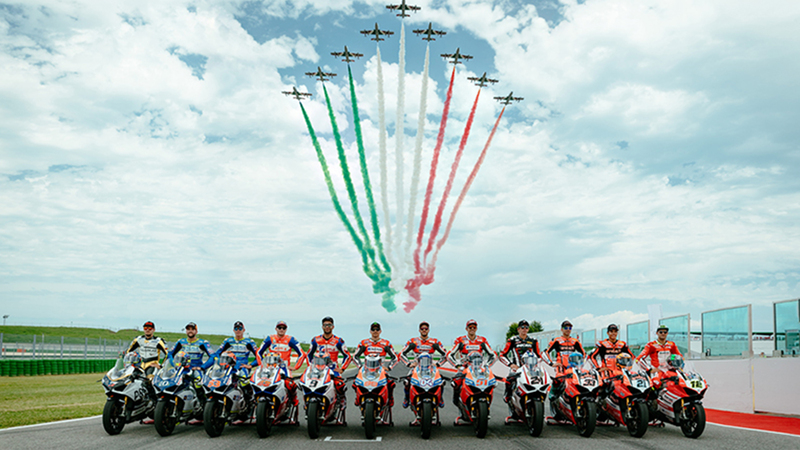 12 Ducati Champions, 12 bikes with customised livery and a spectacular flyover by the Frecce Tricolori aerobatic team for a breathtaking race. 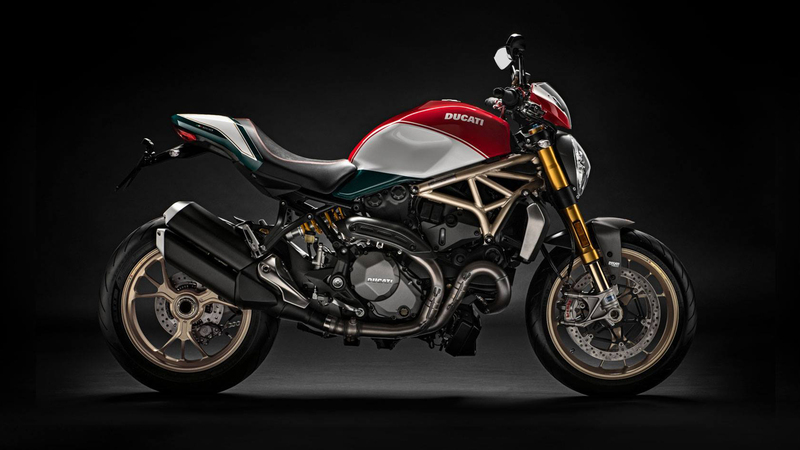 Exclusive to World Ducati Week 2018. 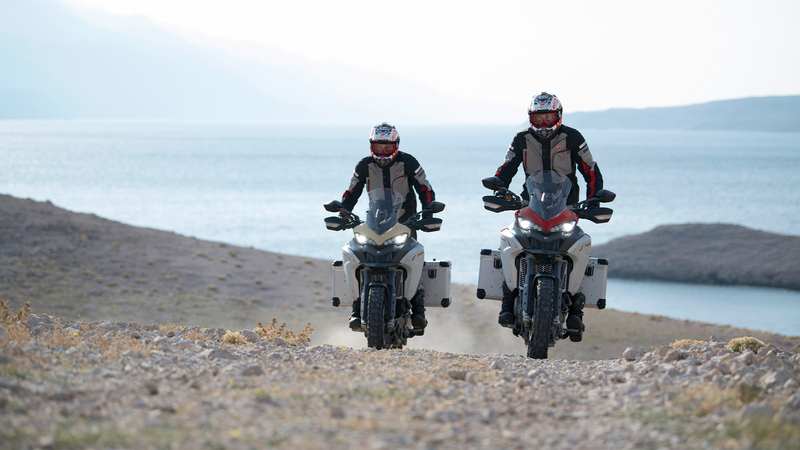 Ten days, ten countries, two Ducatisti on their Multistrada 1200Enduro. 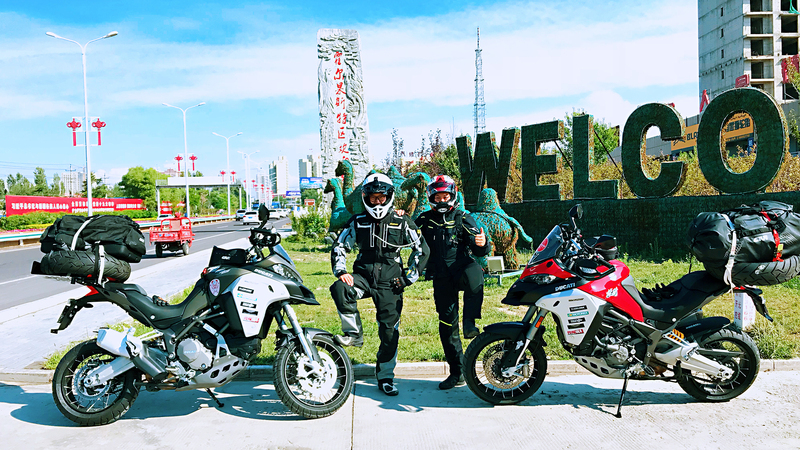 The "SuperFast Across the Eurasian Continent" adventure started in China, went through breathtaking scenery, landed in Borgo Panigale and ended at World Ducati Week. What a journey! 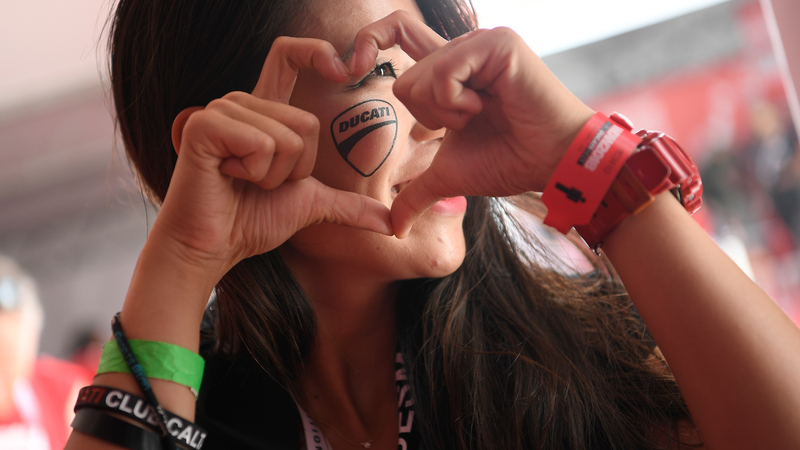 Ducati passion has no borders. 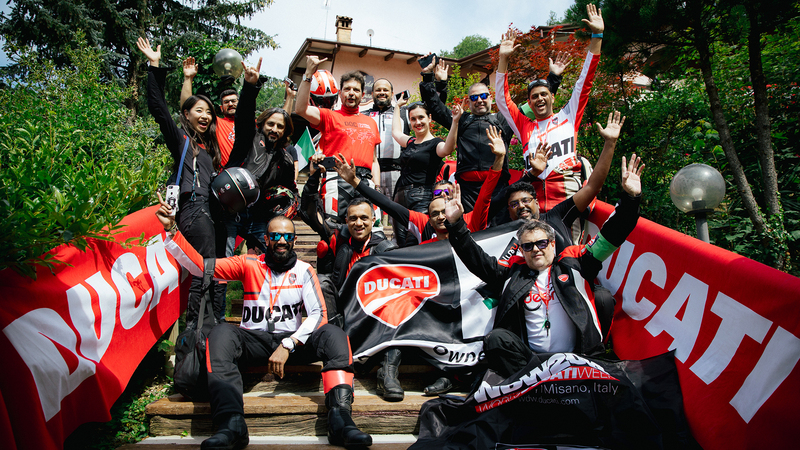 The World Presidents Meeting brought together 59 Desmo Owners Club (DOC) presidents from 25 countries around the world for a journey of 1320 km in some of the most picturesque places in Emilia-Romagna. 105 participants came to visit us at World Ducati Week 2018 riding 70 bikes and this is the result of an incredible adventure! 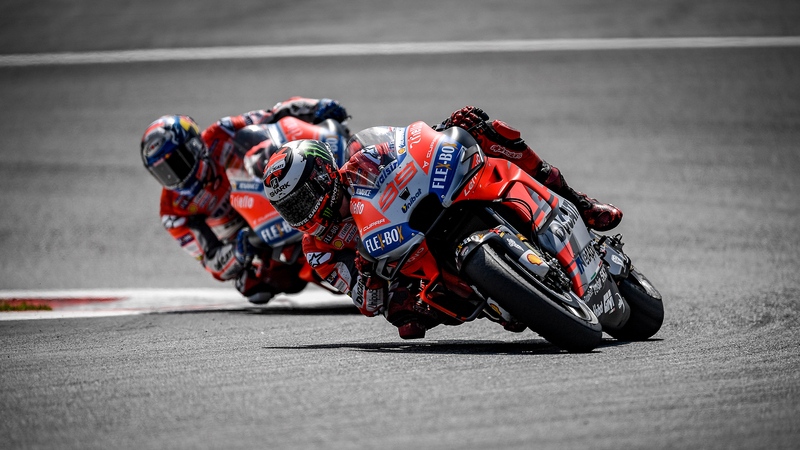 12 August 2018, Jorge Lorenzo headed towards a spectacular victory at the Red Bull Ring. He scored a splendid victory in the Austrian Grand Prix, round 11 of the MotoGP World Championship. “It was an incredible race, maybe one of the best of my career!”, said Lorenzo. The Ducati Team scored a fantastic 1-2 victory at Brno. Andrea Dovizioso won the Czech Grand Prix ahead of Jorge Lorenzo, second at the flag. 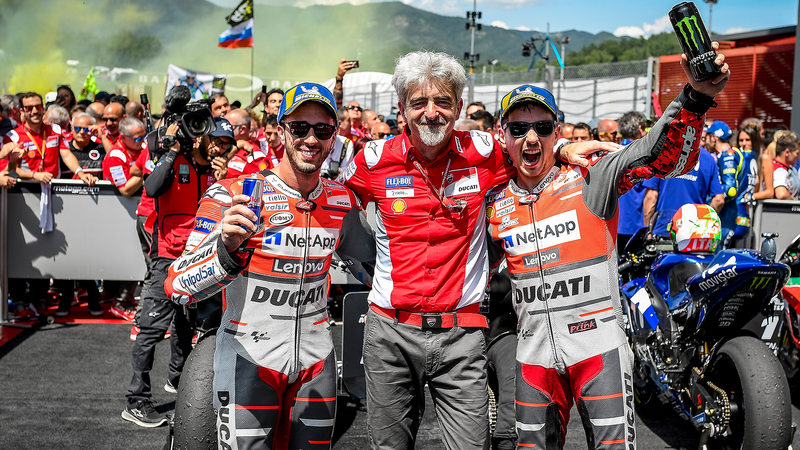 Both Ducati Team riders put in great performances at the Automotodrome circuit near Brno, with Andrea Dovizioso celebrating his 100th GP for Ducati by winning the Czech Grand Prix ahead of his team-mate Jorge Lorenzo, who finished as a close runner-up. Ducati Music, a weekly playlist with the latest music. The only soundtrack for all of your journeys. Whatever the weather. Whatever the terrain. Wherever the journey takes you. 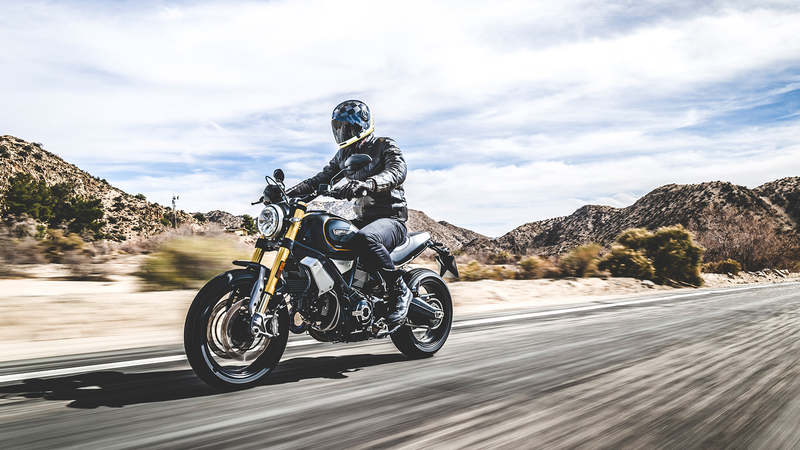 The latest Ducati Scrambler makeover provided a bike that is now even more contemporary, comfortable and safe, taking ‘Land of Joy’ fun to new heights. 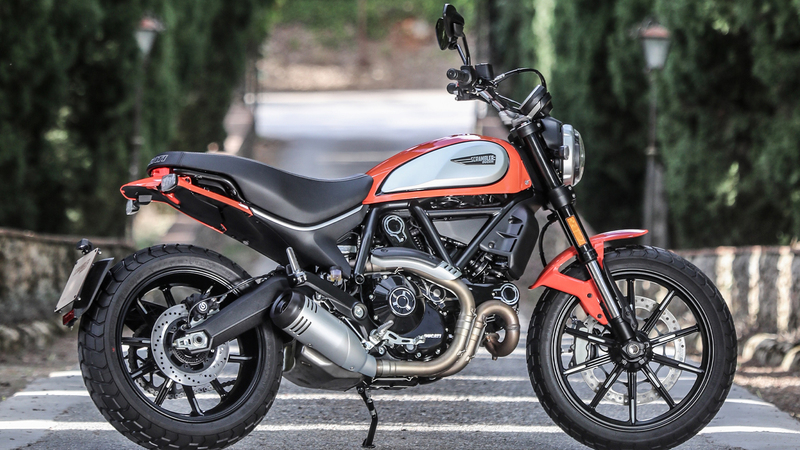 Affordable and essential, the Ducati Scrambler Icon is the perfect blend of tradition and innovation. Even in this latest 'Joyvolution' incarnation, it retains the pure essence of motorcycling: two wheels, a wide handlebar, simple engine and endless fun. What's more, the new Bosch Cornering ABS maximises active safety during braking, adding an extra layer of untroubled freedom. 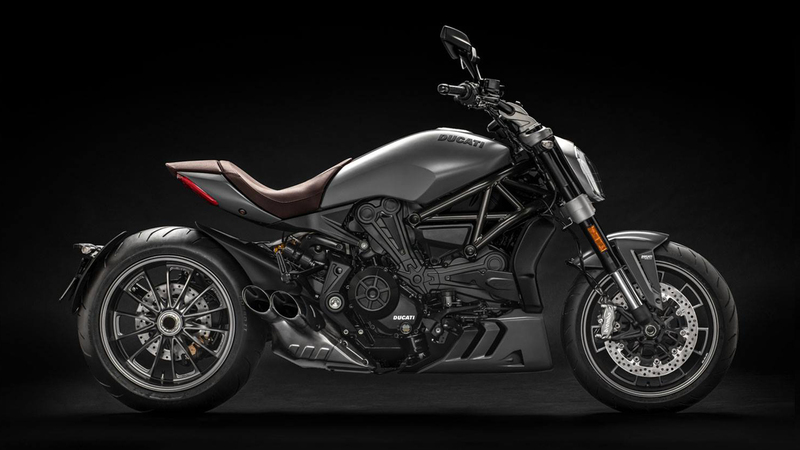 Ducati presented a new colour scheme for the XDiavel: Matte Liquid Concrete Grey. This particular grey compliments the 'total black' of the chassis and engine. The new dark brown seat completes the sophisticated yet sporty styling, sharpening the Ducati XDiavel's already distinctive character. Zhuhai (China), 16 September 2018. 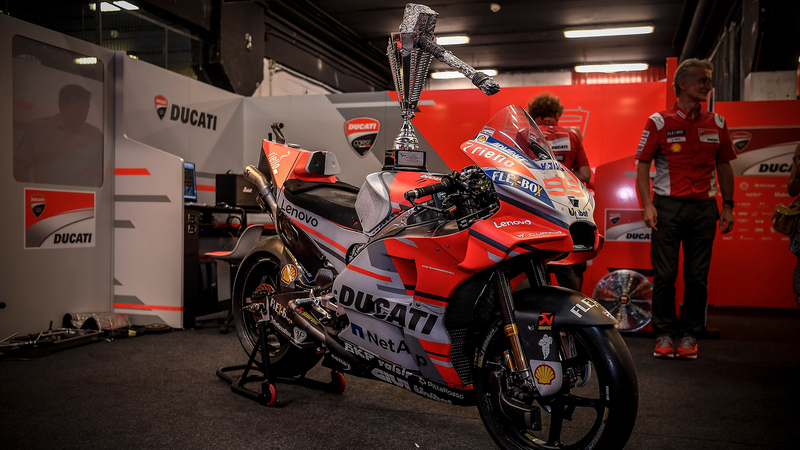 The Panigale V4 S was launched in China and it made the best possible entrance in this crucial market by winning the Pan Delta Racing Series championship, obtaining the first Chinese Superbike Championship in the history of Ducati. 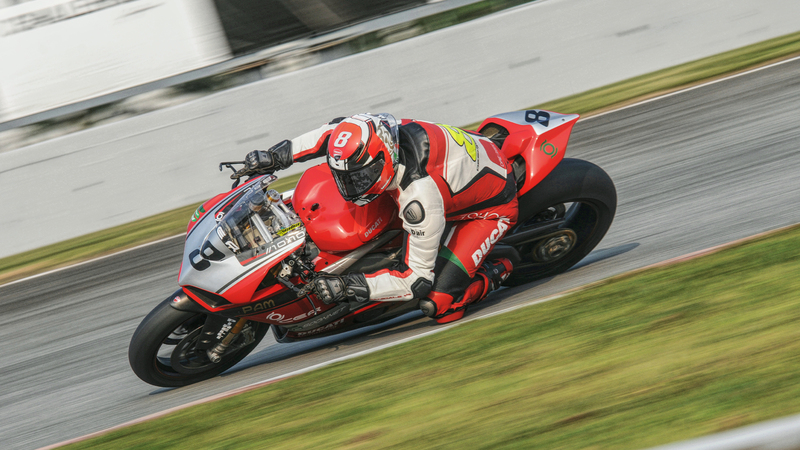 Alessandro Valia, official Ducati Test Rider, won the title, after literally dominating four of the five races held over the last few months on the Chinese circuit of Zhuhai. 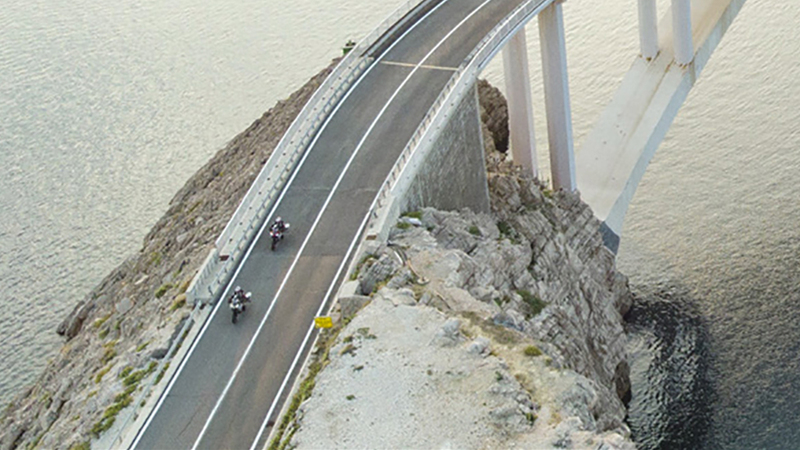 Beyond boundaries with the new Multistrada 1260 Enduro. 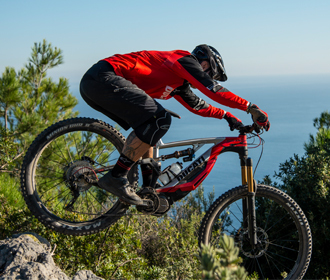 Together with the 2019 Ducati models, Ducati launched the new Ducati e-mtb, the MIG-RR. 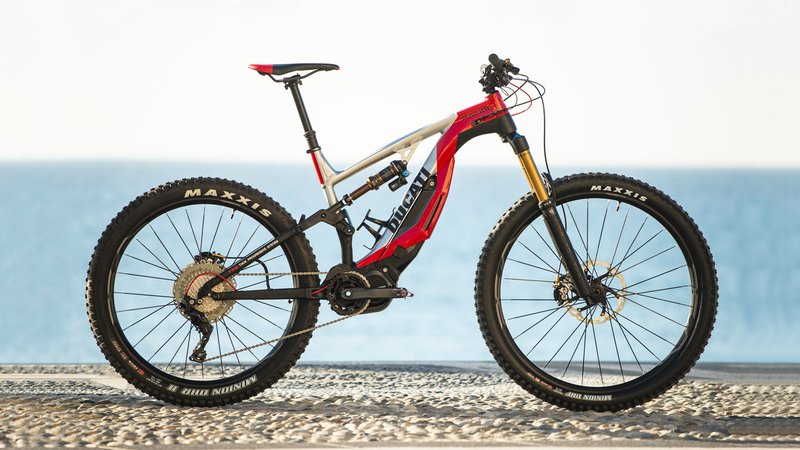 An enduro born out of close collaboration with Italian company Thok Ebikes, design and graphics by Aldo Drudi’s Drudi Performance and the support of the Ducati Design Center. 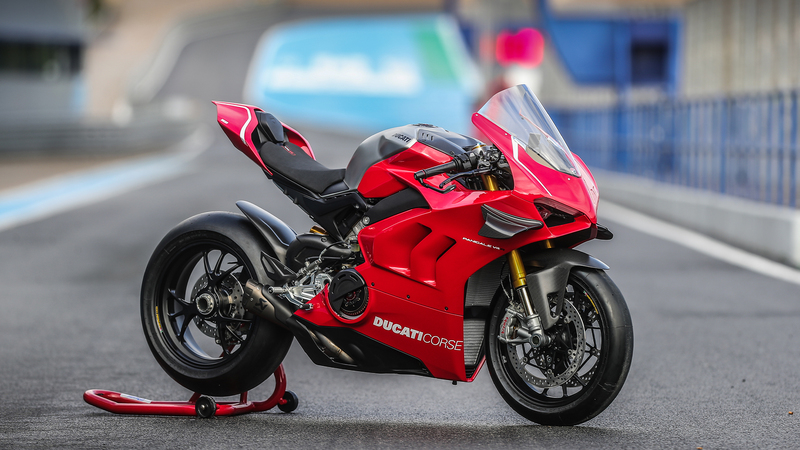 The Ducati Panigale V4 collected quite a few accolades by being named not only Bike of the Year but also Sportsbike of the year in the 2018 MCN awards, Most Beautiful Bike at EICMA 2017 AND Best Superbike of 2018 by Cycle World. 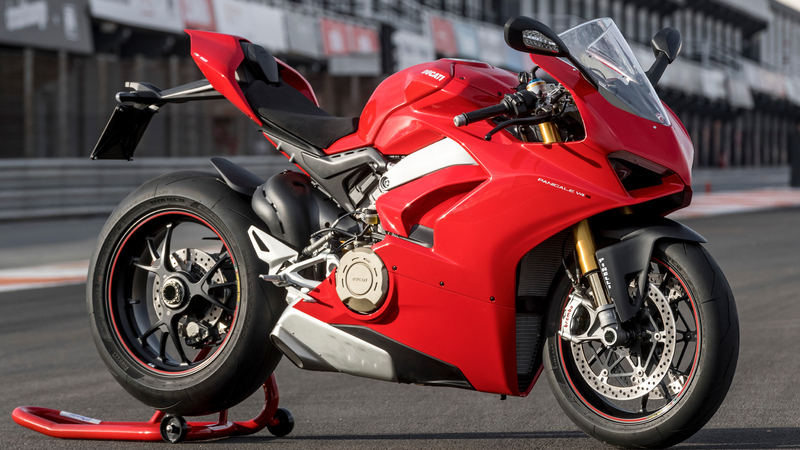 The latest generation Ducati Sportsbike has been described as a ‘technical masterpiece’ by Motorcycle News and lauded for its prowess on both track and road. 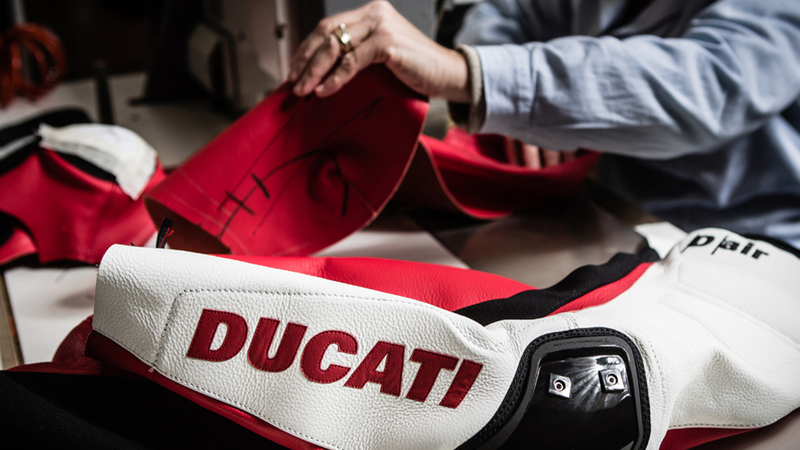 The SuMisura project offers Ducatisti the possibility to customise and design their riding suit in the distinctive Ducati style. The unique experience of composing an exclusive suit with a customized look and fit demonstrates how a tailored biking suit is created, from the selection of the best leather to custom measurements. Unconventional, unique, unmistakable: So good to be bad. 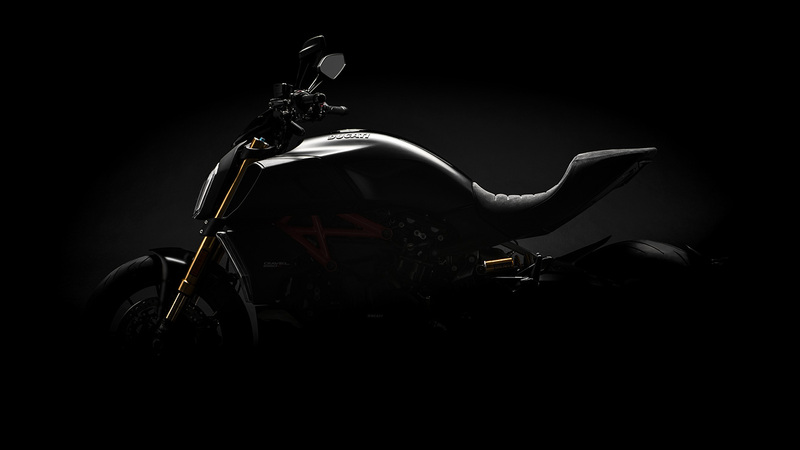 The new Diavel 1260 stunned with its personality, design, sport naked handling and thoroughbred engine. 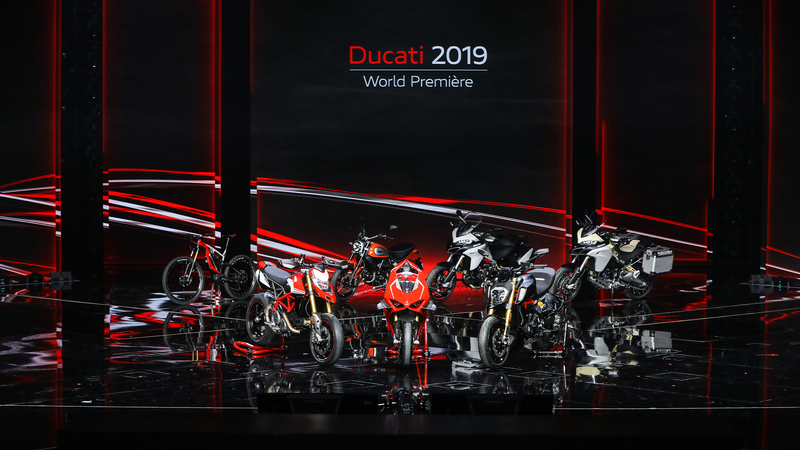 Like every year the Ducati World Première introduced the new model range. This year the event was streamed worldwide on the 4th November 2018 in Milan. The event was held in the evening with a live unveiling of the new 2019 range by CEO Claudio Domenicali, illustrating company goals and celebrating a thrilling 2018 race season. 18th November 2018, Valencia (Spain). Andrea Dovizioso closed the racing season with a fantastic victory in the Valencia GP. “Today’s was truly a spectacular victory! I have finally managed to win at Valencia, which for me and for Ducati has always been a rather tough track,” Andrea Dovizioso said. The new Ducati E-shop is now available at shop.ducati.com. 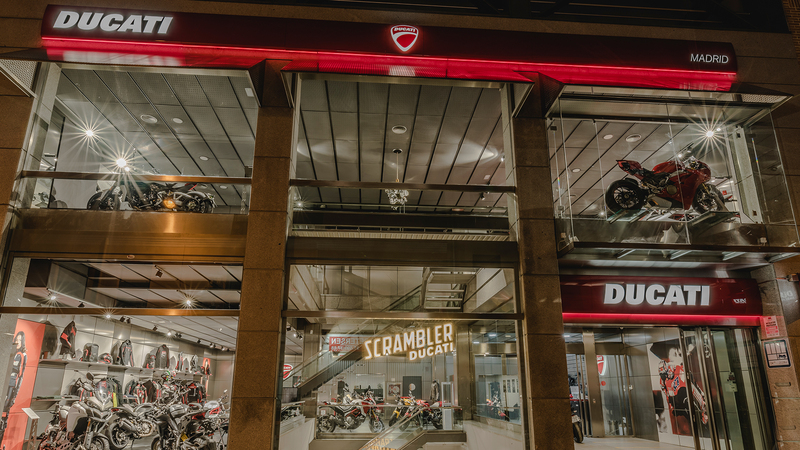 Passionate Ducatisti can now find in one, convenient place - apparel, accessories and gift ideas with the distinctive Ducati style. 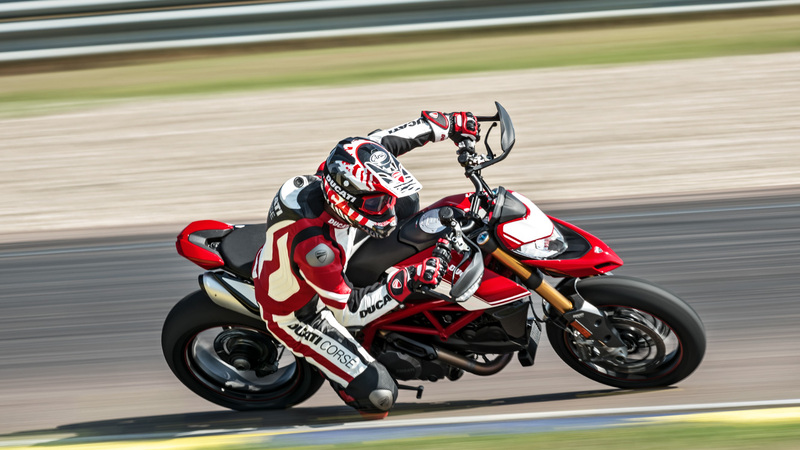 Hypermotard 950 - Game on! Game on! Super-agile and unbeatable on tightly winding roads, the new Hypermotard 950 is athletic, iconic and ready to deliver a genuinely fun experience. The brand new Panigale V4 R graced the track with its presence for the first time in the Jerez De La Frontera Circuit (Spain). 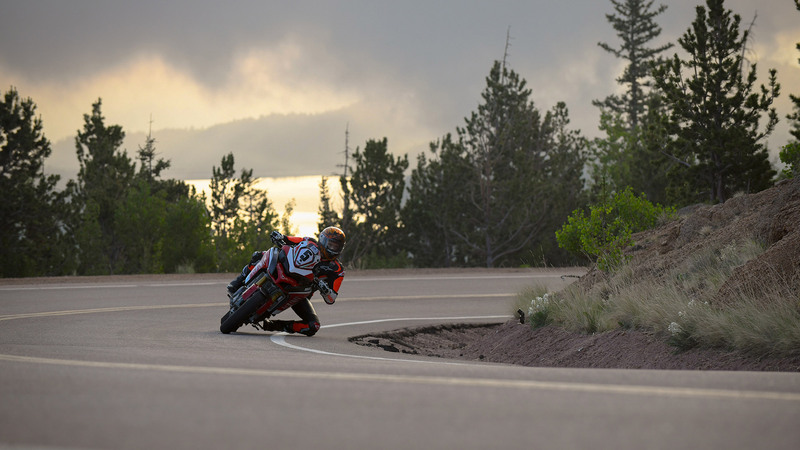 Each rider had 15 minutes on the bike with 4 sessions on the track which added a new note to the glorious ‘symphony’. 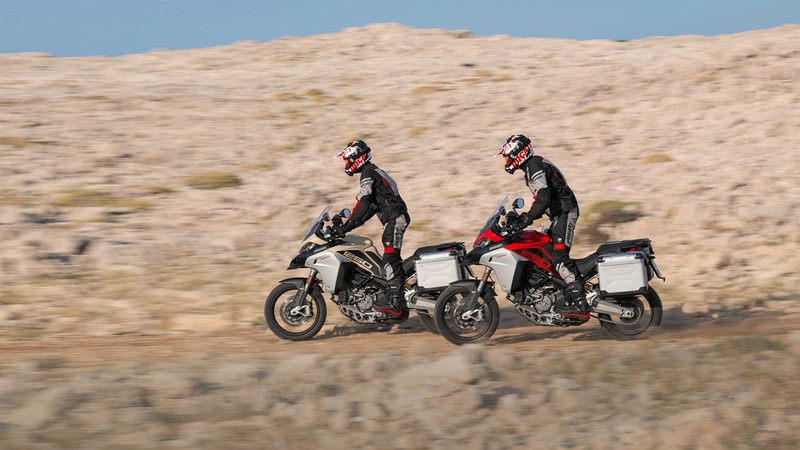 The new Multistrada 1260 Enduro is available in Ducati Red and Sand. There's also a wide range of dedicated accessories, such as aluminium panniers and top case, and the Touring, Sport, Urban and Enduro packages. 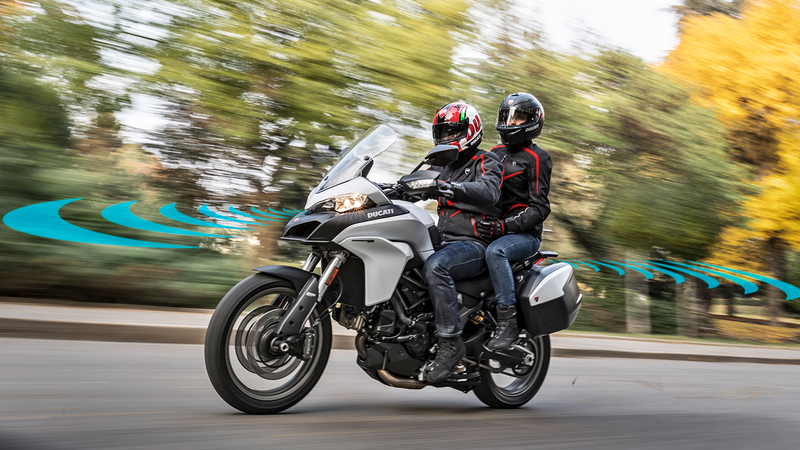 The Multistrada 1260 Enduro was previewed in November at the EICMA fair in Milan which can be found at your preferred dealers in the coming weeks.